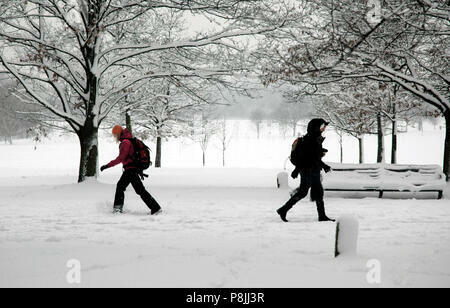 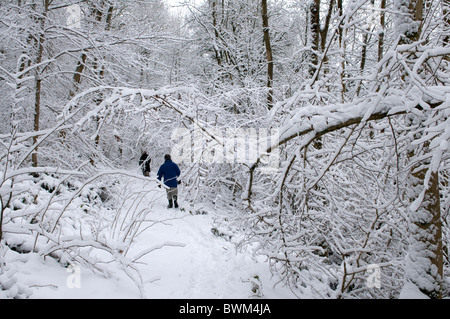 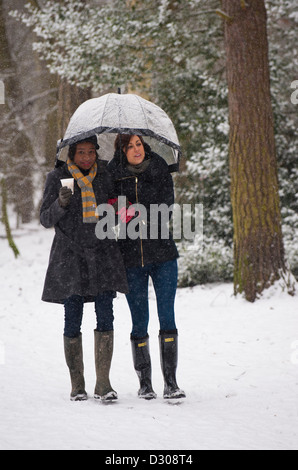 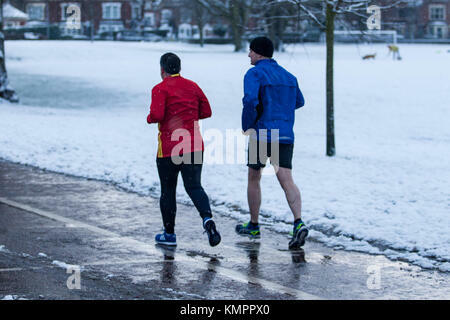 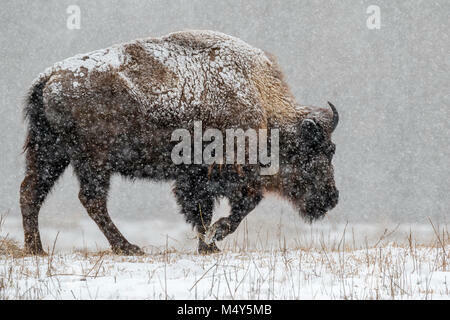 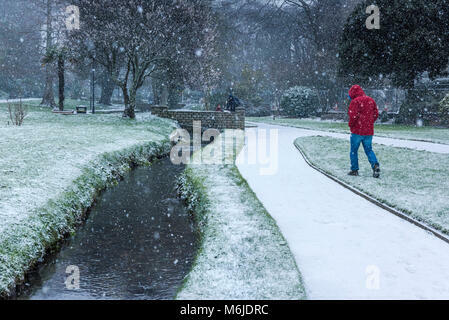 People walking through a heavy snowfall in Trenance Park in Newquay Cornwall. 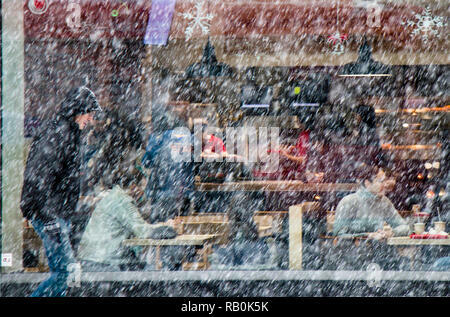 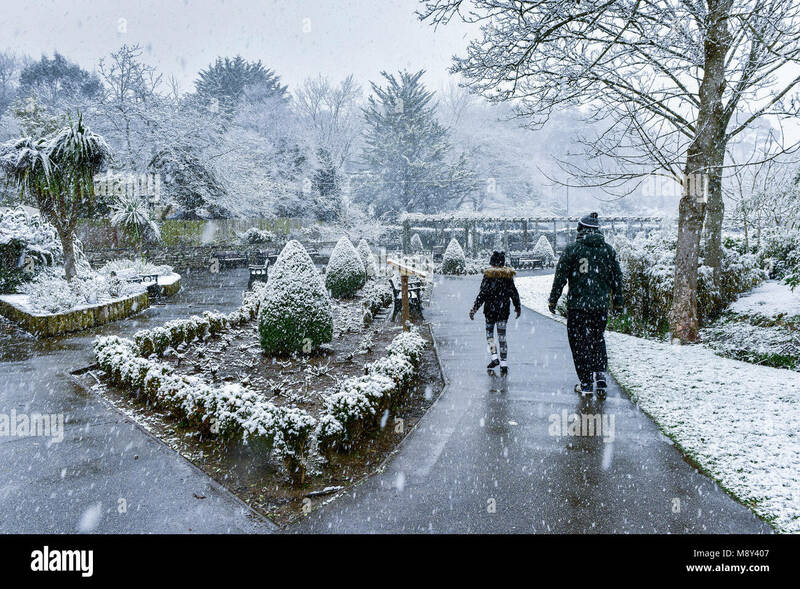 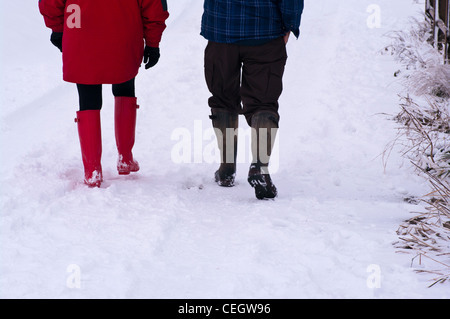 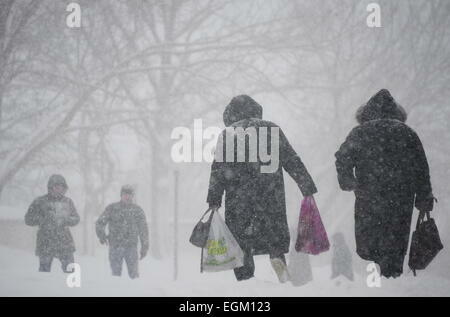 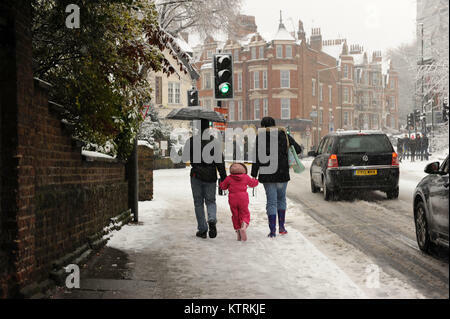 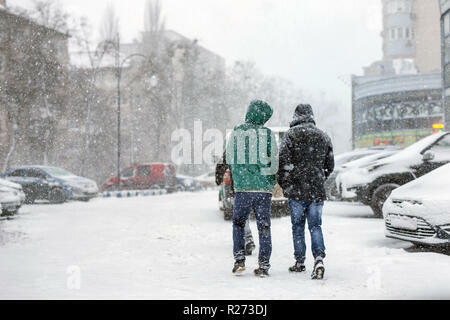 People walking through heavy snowfall in Trenance Gardens in Newquay Cornwall. 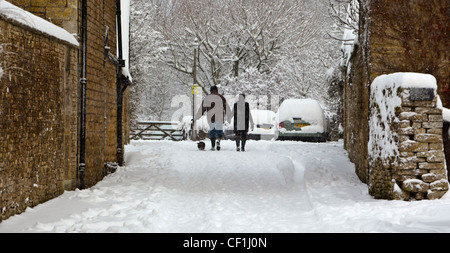 A couple walking a small dog through heavy snow in a Cotswold village.